﻿Happy Sky Watch Friday where 100s of bloggers from all over the world share their view of the horizon in its many moods and flavours. Weather’s been a bit wild around here but I like having plans, including finding a photo to share. Have a great weekend. Am busy getting ready for Thanksgiving and sharing a quick peek at a favourite little journal recycled from lots of bits & pieces. For my Aussie friends check the link to Scrapbook Ideas magazine to complete a survey on what you like to see and a chance to win a subscription. 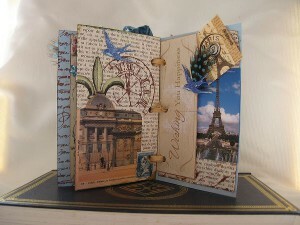 Or how about a fun creative give a way linked here with Prudence or Sarah’s give away linked here. Great compostion, but that is no surprise. Fantastic shot. The bird is very lonely. What a beautiful photo!I love to walk on beaches!Have a nice weekend! That is a good one.<br />My feet are itching to get out on that sand. Haven&#39;t been near the sea for ages. It looks so lovely and empty and clean. Awww! Poor lonesome lil guy! Looks like a dramatic sky…<br /><br />Happy SWF! Great shot. Love the quote too. Amazing shot, I love how the clouds seem to drift right into the ocean! what a glorious capture. love the magical sky and the lone seagull. Happy skywatching. Now that seagull has the view… and you got the picture…Nice!! Nice touch on the seagull:) love the photo. I miss walking by the beach. have a good weekend! My sky is <a href="http://maritestravels.blogspot.com/2010/11/skywatch54-manila-by-sea.html&quot; rel="nofollow">here</a>. That is a very, very beautiful photo. Seagulls lead gorgeous lives! 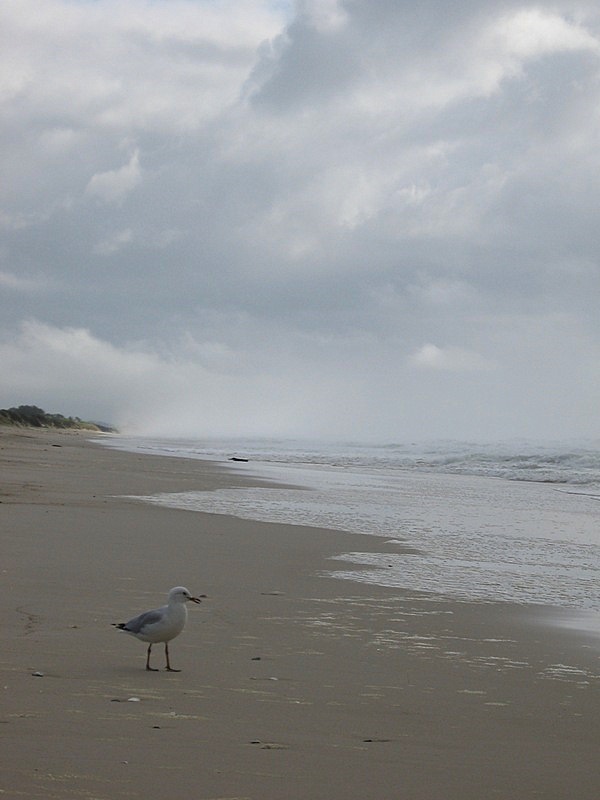 wonderfully composed, – the seagull seems part of the sea and the sky – the colours blend so beautifully. Such a delightfully gentle shot Mandy. Very enjoyable. Mandy, this scene is absolutely gorgeous. Love the softly shimmering colours and the inquisitive seagulls. I can never get enough of the beach, sun, rain or snow. Love the angle of the horizon!